MeetUpMondays is a ‘loneliness busting’, simple idea that actually has the capacity to change lives. Local cafes, restaurants and pubs are urged to offer a couple of hours of free toast (or whatever they choose) and a cuppa to people who are fed up with their own company; whether you are a new mum, or have just moved to the area, or are retired. The meet up is for anyone and gives people a chance to meet others and connect more with their community. Businesses are being encouraged to invite people into a warm and friendly environment where they know they are welcome and will not stand out as being alone. Businesses may also consider offering a table quiz or some games as an ice breaker to encourage introductions and let the chatter happen. Find out more about local bus service changes by reading this month’s Bus Passenger News. If you want to find your nearest bus service or plan a journey on public transport, please visitwww.essexbus.info or Traveline. Follow@Essex_PT on Twitter for public transport information. For live updates on buses, you can also follow your local bus operator on Twitter by clicking here:Arriva, Chambers, Ensign, First, Hedingham and NIBS. When the on-street bus station in Osborne Street and Stanwell Street was created, bus services were allocated to bus stops at the new interchange and around the Town Centre to regulate their use. 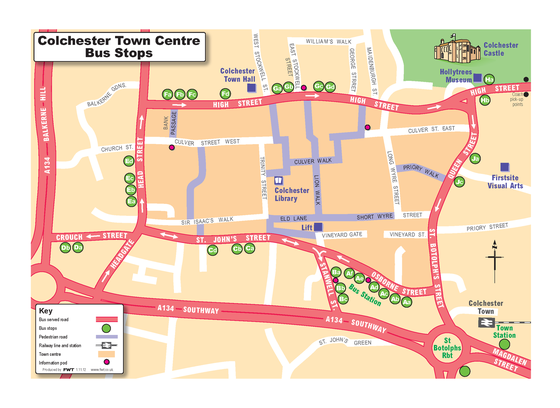 As the bus network around Colchester has developed, the number of buses using individual bus stops has grown due to increased service frequency and the introduction of new routes. It has now become clear that this is making it difficult for both buses and the public to use the bus stops effectively. It is also reducing the attractiveness, reliability and economic viability of the town’s bus services. We have been working closely with the bus operators to resolve many of the issues. It has been agreed to alter the allocations of services to bus stops at the bus station and around the Town Centre. Measures include opening up the spare capacity on the current Park & Ride only stops and grouping services that serve common corridors on the same stops. This has the aim of reducing the pressure at key stops, improving service reliability, improving passenger safety when boarding and reducing pollution around the Town. As a result of the changes the majority of bus stops will have fewer services calling at them. However, a small number of stops will have more services calling at them. These stops are either underused at present or are better suited to deal with the increased number of buses than the current arrangements. For more information, which includes a Where To Catch Your Bus & Frequently Asked Questions, please visit our [www.essex.gov.uk/colchester-town-bus-stops]website. 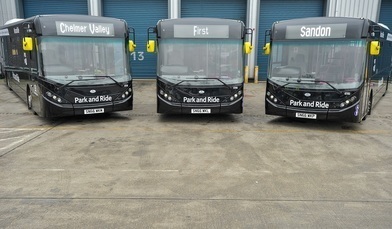 Sandon Park & Ride will operate on the following Sundays: 18 November & 02, 09, 16 December 2018. The Park and Ride departs the site from 0930 – 1700 with a 15 minute frequency throughout the day. On Sunday 18 November Chelmsford City Centre have the Christmas lights switch on so you can travel into the City Centre and it will depart at: 1715, 1730, 1745 and 1800. To get back from the City Centre the Park and Ride will depart at: 1709, 1723, 1738, 1753 and 1808. These times are based on the bus stop at Reed Agency and New London Road. If you would like to stay later in Chelmsford City Centre you can catch Services 31 & 36 Operated by First Essex Buses back to Sandon Park and Ride. These times are based on stand DB at H&M. Monday – Saturday service 31 departs at 2012, 2112, 2217 and 2312. Monday – Saturday service 36 departs at 2042, 2142 and 2242. Essex County Council (ECC) regularly consults on changes to its supported bus services. The consultations look to understand the impact of a timetable and/or route change to people using the service, as well as ensuring the service meets the criteria set out by the Bus Strategy “Getting Around in Essex”. For details of how ECC processes your personal data, please access our privacy notice. 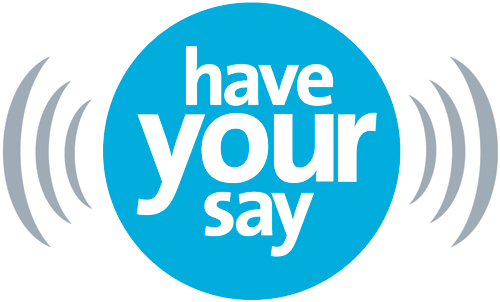 THE POLICE, FIRE & CRIME COMMISSIONER WANTS TO LISTEN TO YOU! Please click on the following link https://roadworks.org?tm=108411077 to find details of the intended closure of Morris Green Road, Blackmore End Road, Pattens Farm Road, Bakers Farm Lane, due to commence on 17th December 2018 for 5 days. The closure is required for the safety of the public and workforce while Essex County Council undertakes carriageway patching. Essex Police would like to inform you of the forthcoming Rural Crime Advice Day, this event aims to provide members of the farming, Business’s and rural community with information regarding crime prevention measures in respect to security and personal safety. This will be the fifth Rural Day of advice and awareness hosted by Essex Police. The event will give you an opportunity to showcase your products and services and liaise directly with members of Essex rural community. The event will cover the security of; Machinery, tractors, plant, metals, diesel, quad bikes, tools, vehicles, caravans, trailers, Equine/tack, dwellings, barns, stables, and outbuildings. Blackmore End Village – Pub Night – Friday 12th October. It’s Pub night , everyone welcome ! To keep up to date with events and classes at Blackmore End Village Hall please follow or like our Facebook page . The Community Policing Team does have its own email address which is monitored daily BraintreeandUttlesfordCPT@essex.pnn.police.uk. Please remember to call 999 in any emergency or 101 for non-urgent enquiries.